KF8. The path to fragmentation. Amazon announced Kindle Format 8, a new format for ebooks destined for its popular ebook reader. The new format, based on html5, promises books with small file sizes, excellent rendering performance, varying typefaces, tables and, in general, much more complex layouts and as a result way more beautiful books than the standard experience typically found in today’s mobi books — there is already another format, azw4/topaz, another format supported by the kindle that also allows ‘custom’ typefaces, but is riddled with other deficiencies, among them being bitmap based. Leaving aside the complication for ebook publishers, and the remedies thereof, the main problem with kf8 is that Amazon has already made it clear that it is destined for only the fourth generation of Kindles (including the Kindle Fire tablet, which is the first device that will see kf8 support) and not any of the previous generations. Some might argue that the issues are technical, but given that the latest Kindle with Keyboard seems to be essentially a rebadged Kindle 3, I don’t really buy that. Amazon is playing an Apple card here, intentionally crippling older devices that would be perfectly capable, after a firmware upgrade, to render ebooks in kf8. If my numerous assumptions above are valid, I think that they are wrong to choose this path of content fragmentation. A few years ago people bet that Amazon would be giving away Kindles to members of its prime programme in the U.S. and, eventually, everyone. With dwindling net profits, moves such as this, the general realisation of the limits and drawbacks of ebooks by the general public, especially when they are DRMed, it’s easy to think that even a company that successful can drop the ball. Somehow I feel that Amazon needs to copy Apple’s drop of FairPlay, open up and start playing nice(r) if it wishes to turn its excellent headstart into a longlasting dominance of the market. JBQ’s writings on Dennis Ritchie’s death find me in total agreement and are worthy of a citation. dmr was a legend and his contribution, concise as meaningful, simple yet immensely powerful, has — and still does — shaped computing (and much of modern life) as we know it. C may not be ‘modern’ anymore, it may have been relegated to systems programming, high performance libraries and embedded computing for the most part, but it is still an immensely powerful tool, a foundation upon which countless other technologies have sprung since the late 70s. UNIX, once considered a dying breed still powers, in the form of Mac OS X and Linux, the vast majority of smartphones, most servers connected to the internet and numerous other devices, from printers, to desktops, to routers. It is hard for a non-technologist to comprehend dmr’s contribution as it is for a technologist to overstate it. Once you start to understand how our modern devices work and how they’re created, it’s impossible to not be dizzy about the depth of everything that’s involved, and to not be in awe about the fact that they work at all, when Murphy’s law says that they simply shouldn’t possibly work. For non-technologists, this is all a black box. That is a great success of technology: all those layers of complexity are entirely hidden and people can use them without even knowing that they exist at all. That is why the mainstream press and the general population has talked so much about Steve Jobs’ death and comparatively so little about Dennis Ritchie’s: Steve’s influence was at a layer that most people could see, while Dennis’ was much deeper. On the one hand, I can imagine where the computing world would be without the work that Jobs did and the people he inspired: probably a bit less shiny, a bit more beige, a bit more square. Deep inside, though, our devices would still work the same way and do the same things. On the other hand, I literally can’t imagine where the computing world would be without the work that Ritchie did and the people he inspired. By the mid 80s, Ritchie’s influence had taken over, and even back then very little remained of the pre-Ritchie world. It took less than an hour before most of the world’s mainstream (and alternative) media posted their canned obituaries. This time it’s for Steve Jobs; his death a long time coming. Feared, loathed, inspiring and adored like few of his contemporaries, he led a life full of contradiction; from his early Buddhist ideas and bohème life, his romanticism and artistic side to product design to his unflinching strategy and vision, his ruthless management style, his arrogance, his passion and obsession with quality and detail, his epic turnaround of a company on the brink of bankruptcy to the most successful company on this planet. 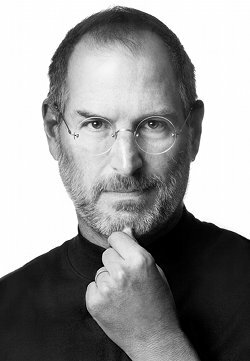 In a market of diminishing margins, ever deteriorating quality, commoditisation and the unbearable mediocrity of the PC industry, he dared to think different [sic] and proved that there is a better way. Steve Jobs was not a saint, a ‘genius’ or a ‘brilliant’ inventor as many like to call him. His policies, his ideas, his ego, his intelligence were not unmatched when considered individually. He was, however, unique in that he combined all those traits that make for legendary leadership, exceptional performance and product creation: an extremely charismatic, visionary man with just the right amount of wit, vision, passion and stubbornness to effect significant change whatever he put his mind to. He had a keen eye and an obsession for quality, lovable and inspiring products and the strength of character to go above and beyond the protocols and limits dictated by the market to create and sell them. He also had an uncanny ability to gather great people around him to execute his strategy and vision; people that are, in the end, those whose work embodies all that is Apple, all that is Pixar. And he delivered as leader of a company more so than almost anyone in the past fifty years. And for that, and the products and services he helped create — the progress he seemingly forced upon the all encompassing, yet pathetic industry that computing has become — he will be sorely missed. For, sooner or later, in a world so dependent on technology, his absence will be felt, well beyond Apple and its community. Steve Jobs image courtesy of Apple Inc. In the same vain as Helvetica, but seemingly more of an ‘indie’ endeavour, this Kickstarter-funded movie about Linotype, the almost lost art of traditional typesetting and the eponymous machine is almost done. Check out the trailer below, or visit their site. It may be interesting to those loving typography. You are currently browsing the cosmix.org weblog archives for the year 2011.